Water(rain) on the road is OK in small amounts, but once the volume of rain reaches >20 mm we see large amounts of water running on the road. 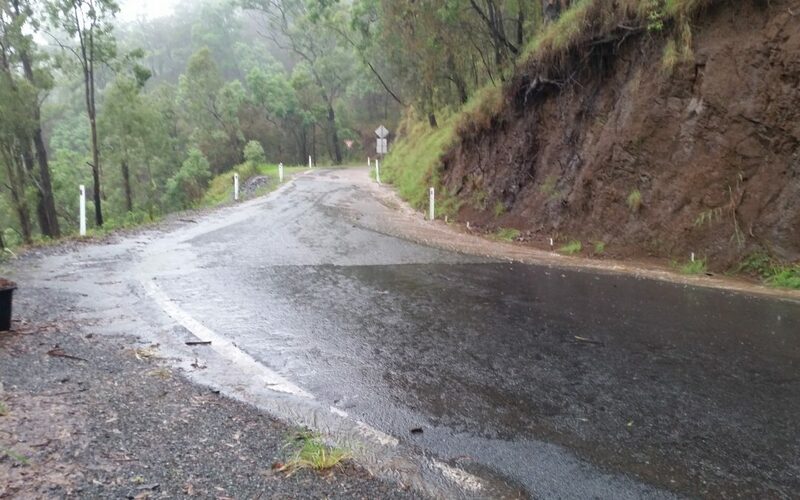 The water should be passed through the drains and culverts on the road, but due to what appears to be some years of neglect by Scenic Rim Regional Council and QLD Department of Transport and Main Roads water regularly flows from blocked drains, across the road. Water ‘crossing the road’ is the major issue we have here, and no doubt others have similar problems in other areas of the road. 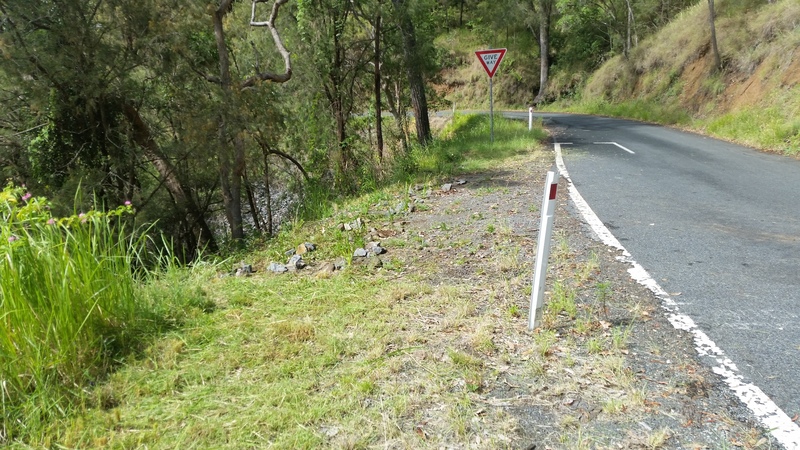 Due to the lack of road drain maintenance, many of the ‘culverts’ and ‘spoon drains’ that lead to the under-road drains are regularly blocked by rock falls and erosion. This means water can not escape from the road in a ‘normal’ fashion. The water builds up on the high side of the road, and then flows across and along the road until it finds a low point. 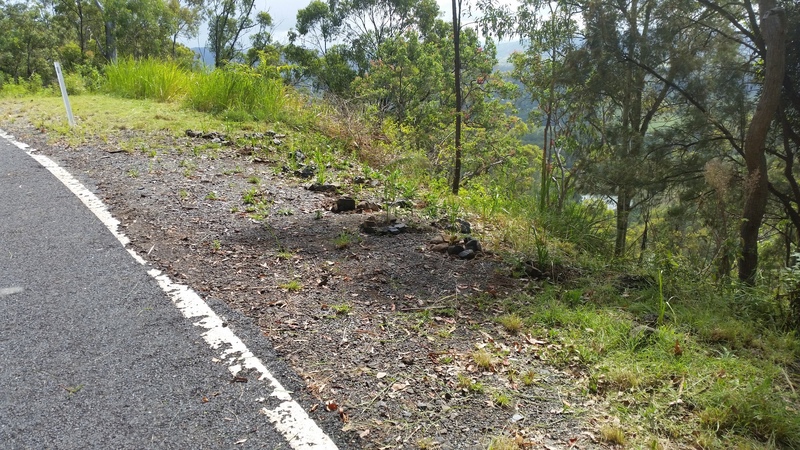 These low points often become washouts in the gully below the road causing massive erosion, destruction of trees and plants, and delivering huge amounts of weeds and seed to the gully areas. We now clear a few bits of the road and also reinforce other areas that may be prone to washouts. Just down from our property entrance there are a number of old washouts. The washouts are erosion damage from large rainfall. Today we ‘reinforced’ the top of one of those washout areas. This involved planting Lomandra sp. on the top edge of the washout in order to strengthen and protect this washout area. Lomandras have large and strong root systems, and we have used them in multiple places across the property to prevent erosion. This planting, with it’s rock surrounds, may seem small but when fully grown these Lomandras will be > 1m wide and high. They will form a vegetation wall that will catch runoff, soil and rocks etc instead of letting it run down the washout. 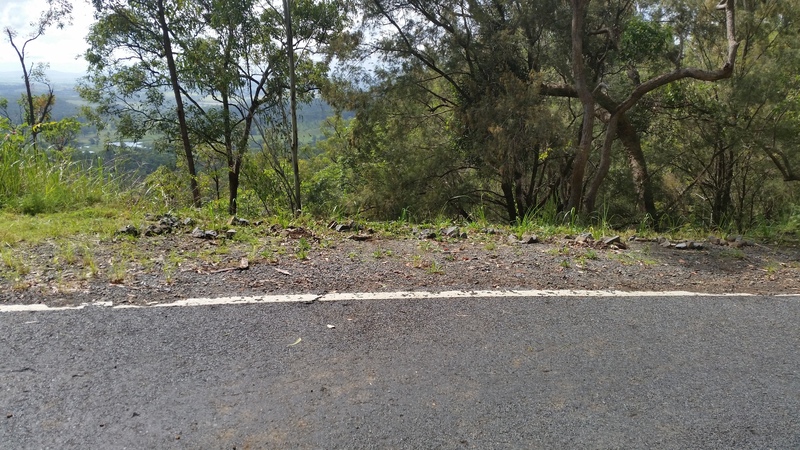 Now all we need is Scenic Rim Regional Council and QLD Department of Transport and Main Roads to fulfill their responsibilities and maintain the road so that this sort of erosion does not occur.